France in London | Are personal shoppers about to conquer France? Are personal shoppers about to conquer France? So, what is exactly a personal shopper? He (or she) is a fashion and styling professional who is at people’s service to help them to find the look that suits them best, do their shopping and accompany them. This service is aimed at everyone who wishes to be advised for his retail, wants to discover new fashion designers or just wants to please himself. But above all, a personal shopper is a time-saving service. So, if you don’t have enough time to spend afternoons trailing round shops, it’s perfect for you. 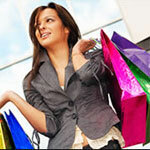 You just have to tell your personal shopper what you need, and he will arrange you a shopping session. You’ll follow him and try on different items he pre-selected and put aside the day before. No need any more to spend hours searching in the shops… And if you are really busy, your personal shopper can also pick up items from shops and deliver them to your office to be tried on. This service is already well known among wealthy women around the globe. Many of them can’t imagine a retail session without their personal shopper. And they love to shop in Paris… So, the French market had to adapt to the needs of this demanding clientele. That’s how the first personal shoppers agencies were born. On the very beginning, these agencies were aimed only at these extremely rich foreign women who wanted to buy the last creation of a fashionable French stylist. 10 Vendôme is one of those. Created in 2003 by Isabelle Dubern, this agency has more than 1000 clients, who are all foreign people coming in Paris on regular basis. At a price of 1000 euros for a day's service, this kind of advice does not come cheap. But some other agencies have since been created, offering more democratic and affordable services. With “The shopping by Lilye” for example, a day comes at 450 euros, including a review of your wardrobe and some help to define your hairstyle and your make up. 450 euros is hardly cheap but it is already more affordable and therefore more accessible to a lot more women. However, even Lilye recognizes that most of her clients come from abroad. “French are not yet used to that kind of service,” she says. Perhaps the concept of personal shopper just needs some time to get a place in the French people’s daily life. But will it really manage that? In fact, the French have a passion for retail. French women just love to go around the shops and spend hours looking for a real bargain… Would they be able to give up this pleasure? I launch a service that could help you to start or growth your business as Personal Stylist / Shopper. I am Frensh native speaker, with fashion design background.I now live in Paris and look for a position as personal shopper in agency. Feel free to contact me it will be aprreciated. Hey dear everyone, here I bring you a good place for shopping, if you feel there are not enough outfits in your chest? Click in http://www.viovin.com Welcome VIOVIN online shop, new Cop Copine, 2026-paris, Karen Millen, Herve Leger new collections with tops, shirts, dresses, skirts and pants. All the products we sell is on discount, the aim of our shop is to save your money, dress you up beautiful. This is a paradise, we need your support and trust. If you like our shop, please visit and log in. Your best bet is to do a short course through London College of Fashion. They do short Personal Styling courses and London College of Fashion is well known worldwide which you can use to promote yourself. I AM AN AMERICAN WOMEN CURRENTLY LIVING IN FRANCE. 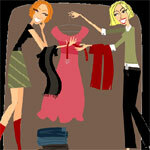 I LOVE FASHION AND WOULD LOVE TO BECOME A PERSONAL SHOPPER. HOW WOULD I GO ABOUT STARTING THIS VENTURE? I am an English lady living in Frane and would love to have the opportunity of starting a similar service here and wonder how to go about ths.